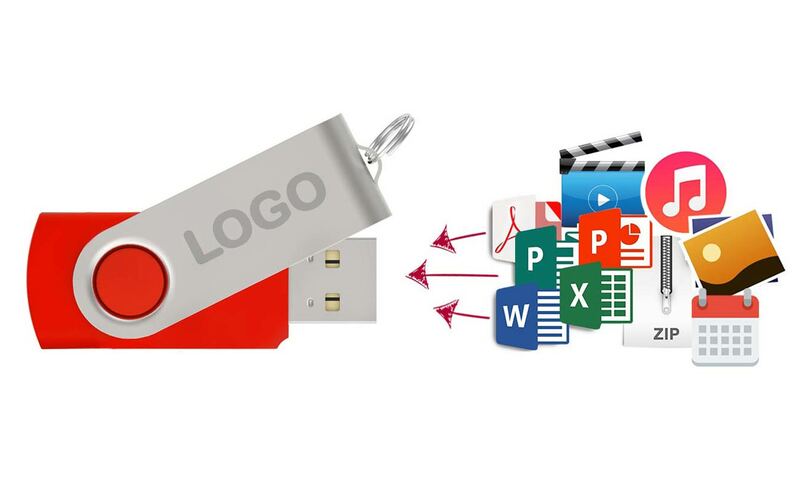 One of the most popular services we offer at Flashbay is Data Preloading – the opportunity to have your custom-branded USB Flash Drives preloaded with the content of your choice. This additional marketing tool is a unique offering in the promotional product market. Rather than inundating clients with loose advertising materials which are often immediately discarded, customers are able to receive an enormous quantity and variety of content on one pocket-sized, multi-purpose Flash Drive. This data can even be locked to prevent deletion, ensuring the USB Flash Drive serves as a permanent promotional tool. The preloaded USB Flash Drive provides great versatility, from independent photographers and musicians uploading portfolio images and audio, to multinational corporations providing company analysis, brochures, catalogues, presentations and magazines. The options are almost limitless and they can be presented in a long-lasting and convenient format - with preloaded data, the end recipient of the Flash Drive has the opportunity to explore the content in their own time and at their own pace, rather than being overwhelmed with information in one go. You can read more about the types of files that can be preloaded here. If you would like to purchase Data Preloaded, custom-branded USB Flash Drives, simply fill out our Quick Quote Form and one of our dedicated Sales Account Managers will be in touch with you shortly.